The FLOW Consortium – a partnership between Alstom, Ansaldo STS and Ferrovie dello Stato Italiane – has been awarded a 12-year contract to operate four lines of the Riyadh Metro. The consortium said it had received a Letter of Award (LoA) from Arriyadh Development Authority (ADA) to provide operation and maintenance (O&M) services for lines 3, 4, 5 and 6. 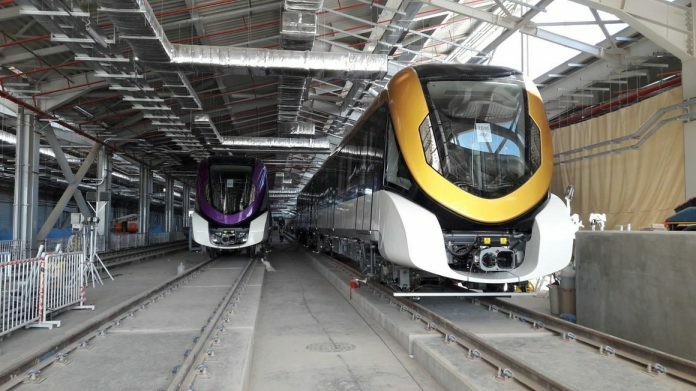 Valued at around 10.9 billion Saudi riyals (c€2.5 billion), the contract includes full maintenance of the Alstom-built trains on lines 4, 5 and 6 as well as those supplied by Bombardier for line 3. Combined, the four lines have a length of 113 kilometres, include 50 stations, three depots and three control centres. Didier Pfleger, senior vice president for the Middle-East and Africa region at Alstom, said: “We are honoured that our client ADA, for whom we are currently supplying a fully integrated Metro System for lines 4, 5 and 6 (Yellow, Green, and Purple lines), is renewing its trust in Alstom’s capabilities and expertise with an additional contract for operation and maintenance services. ADA has set a minimum Saudization target (the requirement to hire local labour) of 45 per cent within the contract and stipulates 55 per cent local content.